We told you that YouTube would support 360-degree videos. Now, they’re here: as of today, Google’s streaming video service now serves up videos that let you look in any direction—not just where the camera is pointing. Needless to say, this could be a Big. Freaking. Deal. Ever wanted to see from the perspective of a race car driver, or experience a concert from the best seat in the house? You can do those exact things in YouTube’s example videos below. As long as you’re using a Chrome browser, you can tap and drag to look around. Or, with the YouTube app on an Android device, you can pan by simply moving your phone. But think about the possibilities. You could create videos like this yourself. 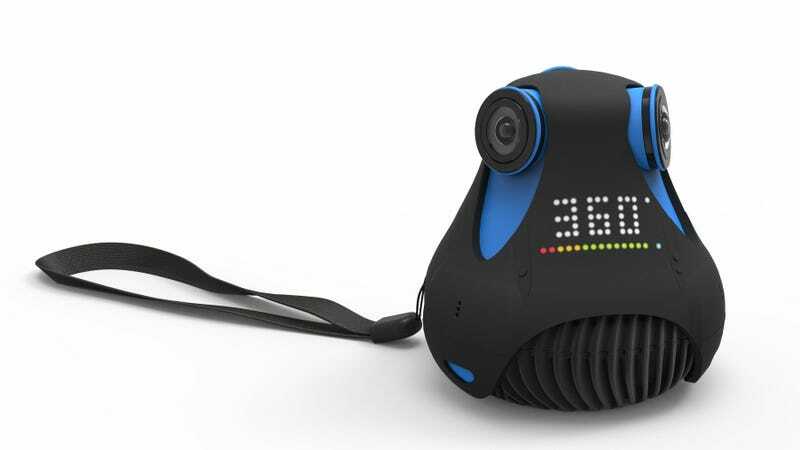 If you’ve got a crazy new 360-degree camera like the Ricoh Theta and Kodak SP360 (or the upcoming Giroptic, Bublcam, and Allie) you can now share moments from your life and practice 360-degree storytelling on YouTube’s hugely popular video sharing platform. Imagine capturing a perfect sunset—or the birth of your child—then inviting someone to experience it in virtual reality. That’s coming, too. YouTube product manager Sanjeev Verma tells Gizmodo that Google Cardboard and stereoscopic 3D support are definitely on the roadmap. Livestreaming, as well. Mind you, there are quite a few caveats to 360-degree uploads right now. Not only do they only work on Chrome and YouTube for Android (more platforms on the way), you also have to output your footage in “equirectangular” format, which is a fancy way of saying that your spherical shot has to be stretched out into a flat rectangular shape to process it properly. Eventually, the hope is that YouTube will unite the growing number of 360-degree camera makers under its one roof, get them all to embrace the same format, so that all you need to do is figure out where to put the camera to capture incredible moments and share them with the world. Google’s even planning to offer the cameras to the creators in its YouTube Space in Los Angeles, and work with them to figure out ways to tell 360-degree stories. It’s not all that easy right now. There aren’t a lot of consumer-grade cameras available yet, the footage they produce is fairly low quality, and conversion’s a bit of a chore. But even so, I managed to create a few (pretty ugly) 360 degree vids of my own. Check ‘em out below.